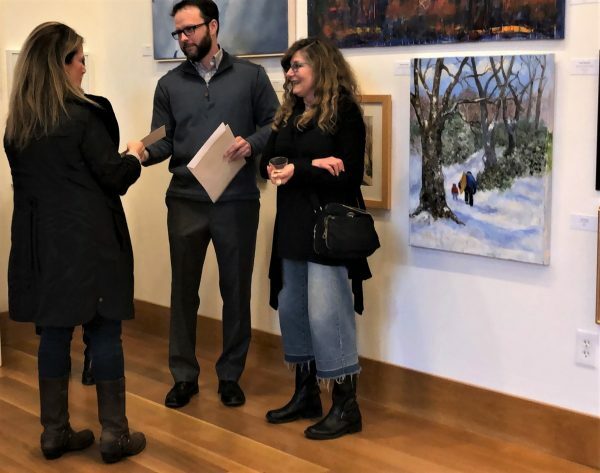 Wayne Art Center presents Expressions of Radnor, an annual exhibition that showcases the talent of Radnor residents in all media. Awards will be presented by juror Stephanie Lieberman during the opening reception, where visitors are invited to meet the artists and observe the works. The Opening Reception and Exhibition are free and open to the public. Ms. Lieberman is an award winning landscape and animal painter and graduate of the Pennsylvania Academy of Fine Arts. She enjoys wide gallery representation throughout the United States and has been featured in numerous publications including American Art Collector and Atlanta Style & Design. At the end of the exhibition work can be retrieved on Saturday, March 16 from 4pm until 5pm or on Monday, March 18 from 9am until 7pm. Bryn Mawr Trust , Christopher's, Framer’s Market, Goat's Beard, The Great Frame-Up, Gryphon Café, Merion Art and Repro Center, MidPenn Bank, Radnor Hotel, Wayne Art Supplies.